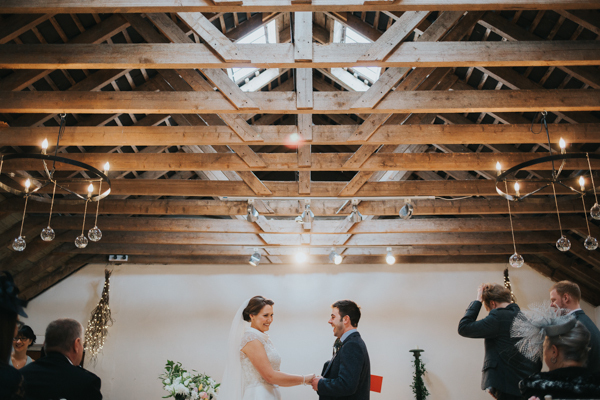 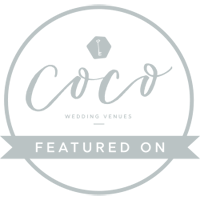 The 17th Century fortified house and gardens provide a magical backdrop for a wedding; and once the formalities are over, the Victorian barn is the ultimate place to celebrate. 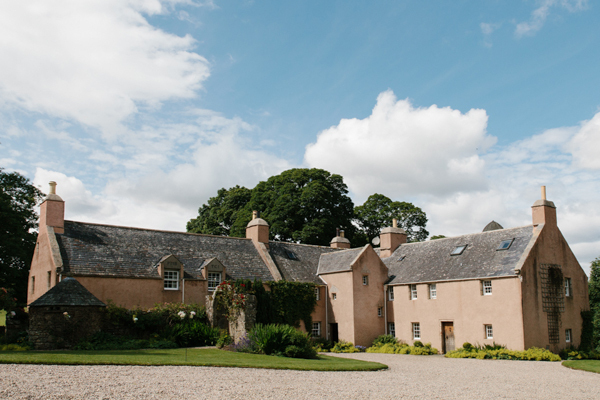 Aswanley is a garret tower house set in extensive gardens with a seventieth century arched gateway and well. 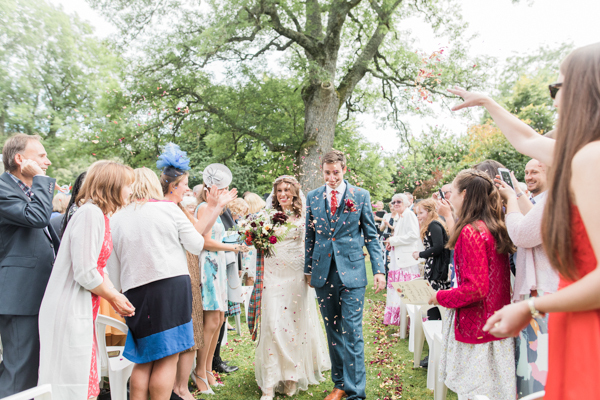 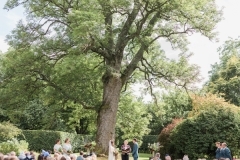 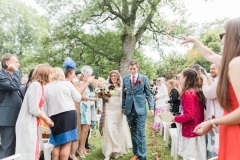 Ceremonies and receptions can take place in the gardens at Aswanley. 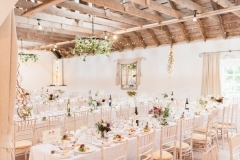 The barn consists of a series of interconnecting rooms with the fireplace room at the centre, with its oak bar, pine beams and enormous fireplace. The fireplace room is an ideal space for ceremonies , from intimate family gatherings to large wedding ceremonies , summer or winter. 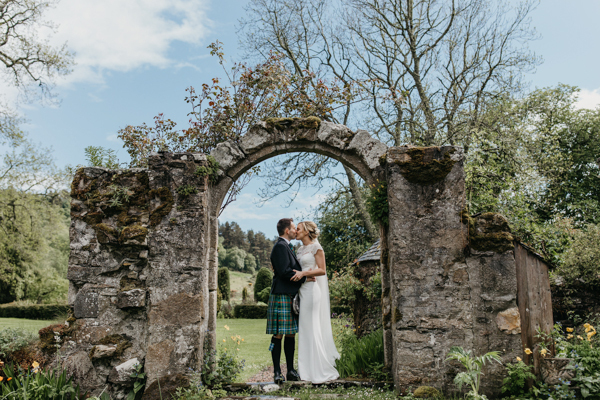 In summer we can open the doors to the river terrace and arrange tables so you can drink champagne in the sun overlooking the valley. 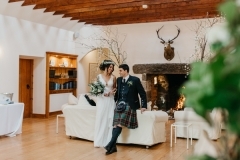 In the winter, guests can relax with a dram next to the roaring fire. 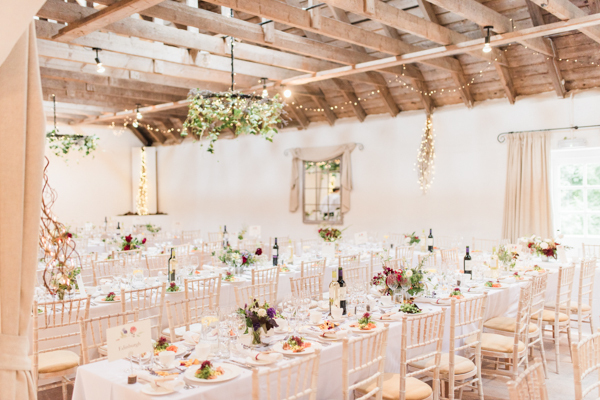 Off the fireplace room is the dining room, a long barn that can seat up to 154 people to dine banqueting style. For larger parties, the dance floor can also be used for dining for up to 300 people. 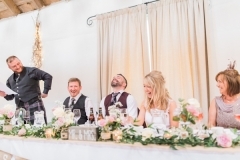 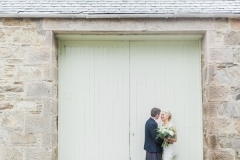 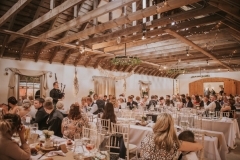 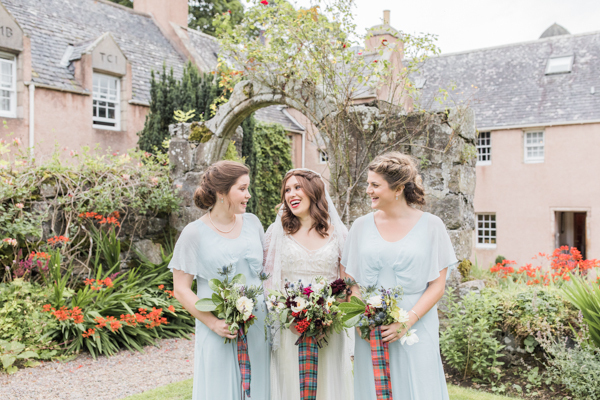 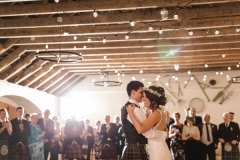 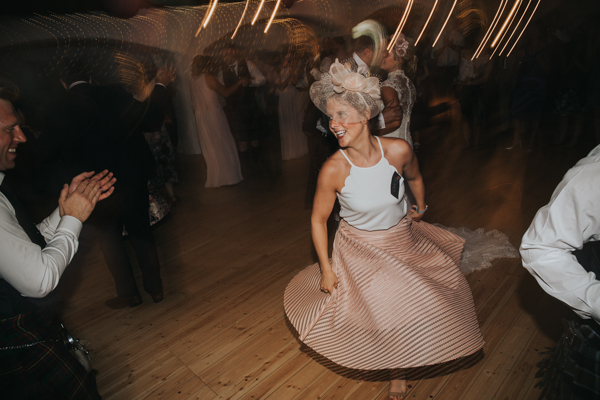 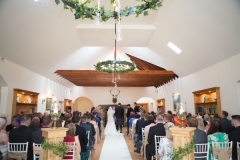 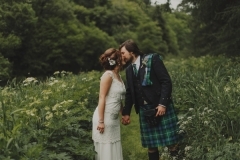 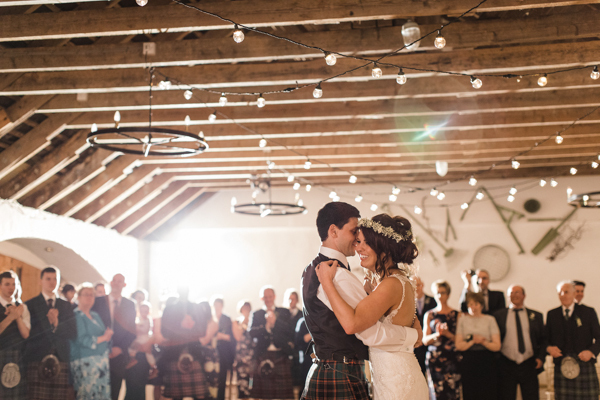 A Highland wedding venue would not be complete without a space for a ceilidh. 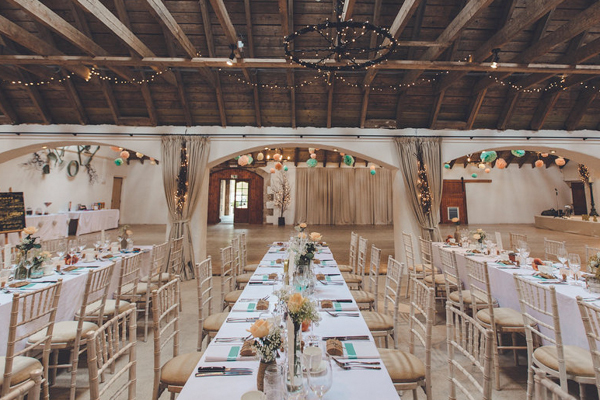 White arches separate the wedding venue’s ballroom room from the dining area, so guests can easily watch the dancing from their seats. 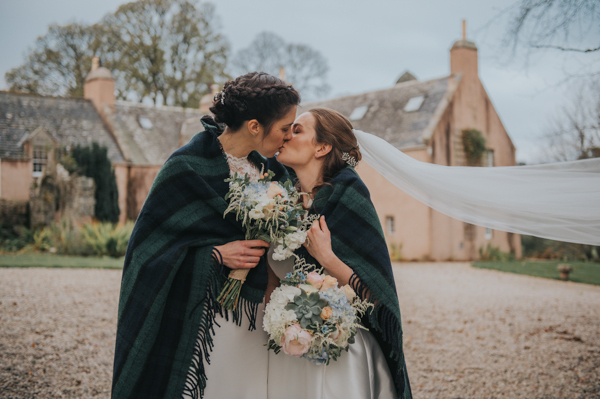 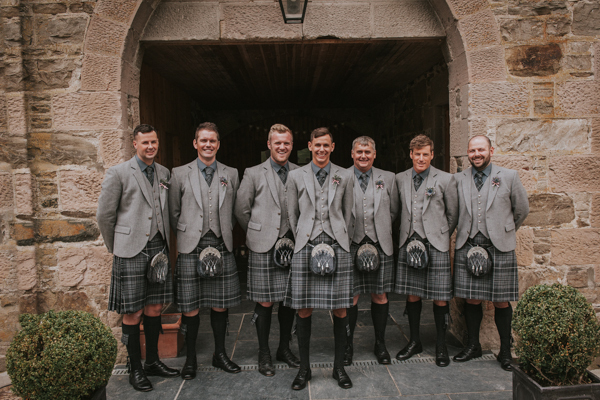 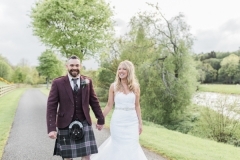 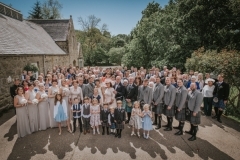 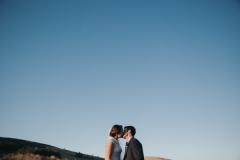 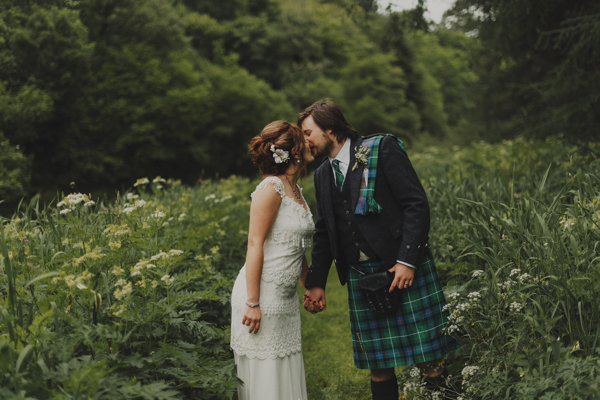 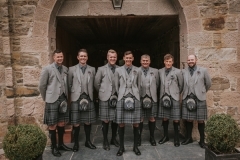 The gardens and surrounding landscape provide a variety of backdrops for your wedding, from open pastures, to the banks of the River Deveron and woodland beyond. 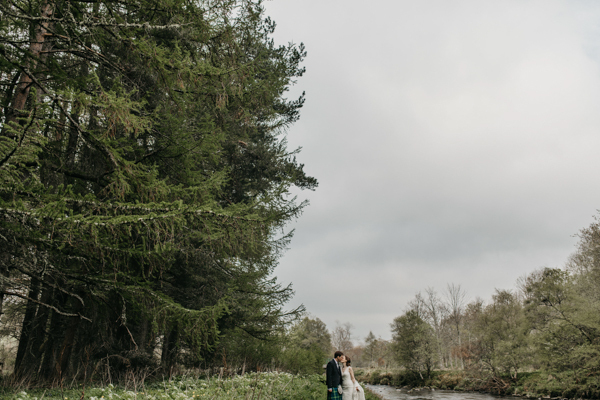 There is a pond between the house and the barn, and a stream that runs through the grounds. 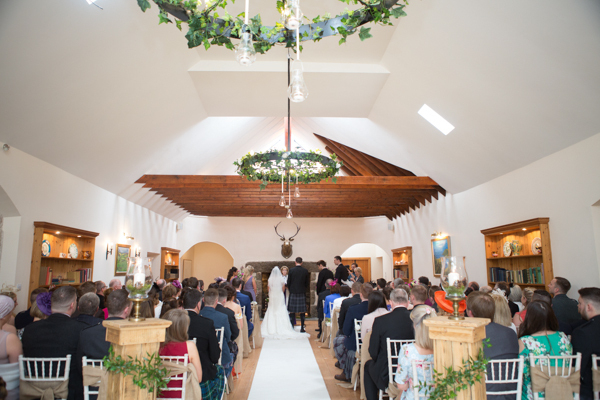 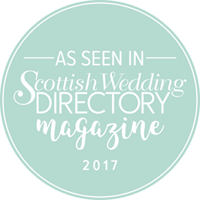 The space and adaptability of these rooms make Aswanley one of the most popular Aberdeenshire wedding venues.